In order for anti-poaching to succeed, there must be employment locally available. The people in the community must have the skills to qualify for employment. Employed wage earners do not need to poach. There is no going forward to a permanent end to poaching without this economic component. 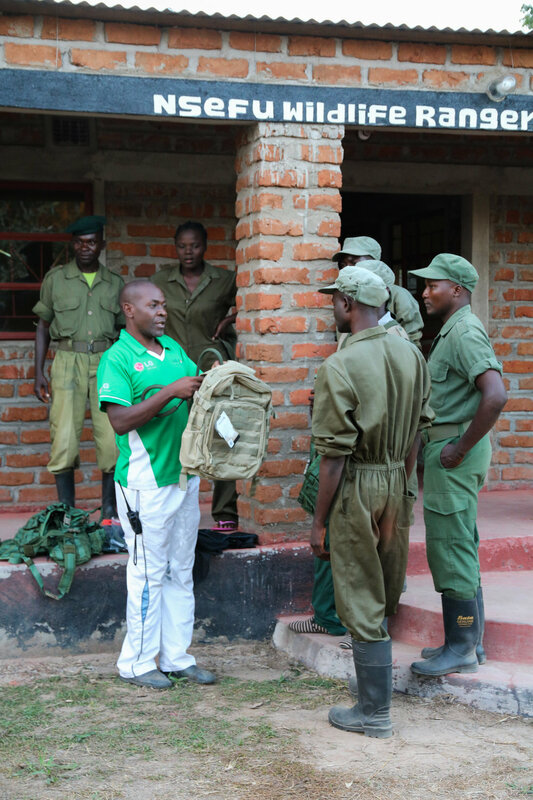 Nsefu Wildlife has an anti-poaching team on the ground in the Nsefu Sector. Our team includes 9 rangers and they conduct antipoaching patrols, stings, operations, wildlife monitoring, and data gathering. They are housed in the Nsefu Wildlife Ranger headquarters and conduct patrols that range anywhere from 7-20 days out in the field. field operations, arrests, tracking, and confiscation of weapons, contraband, and poaching gear. Our team gathers intel on all poachers and suspected poachers in the region and they use our village scouts for information of any potential illegal activity. The team is always in need of new equipment i.e. Running a team 365 days a year costs money and Nsefu Wildlife works tirelessly raising funds and capital to keep our operations going to protect and preserve wildlife. We always need help and your support would be incredibly appreciated. In keeping with Nsefu Wildlife's strategy of a multi-pronged approach to conservation and the preservation of endangered and vulnerable species...we have identified that attaining economic stability in the region is a critical piece to the puzzle. Creating training, job and income opportunities for the community helps support families but also, beehives provide a natural "fence" to protect crops and gardens. Elephants are deathly afraid of bees, so beehives distributed throughout vulnerable human/animal conflict areas of the Nsefu sector benefits both human and animal! 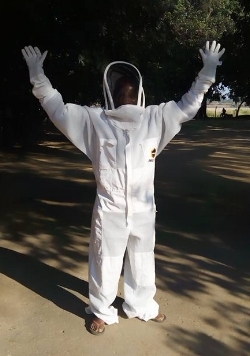 Nsefu Wildlife is proud to announce our beekeeping program is underway! We have teamed up with Bee Sweet Ltd for establishing beehives throughout Nsefu. Bee Sweet has donated over 900 hives to the program in addition to the original hives donated with funds raised by Bud's Louisiana Cafe. These hives are in the process of being set up and the African organization Community Markets for Conservation (COMACO) has a successful history of assisting and supporting bee-keeping programs like ours. Not only that, locals are being taught how to construct hives themselves. COMACO has graciously offered to provide technical and honey marketing assistance. And with Nsefu Wildlife teaming up with Bee Sweet, they have agreed to purchase all our honey production which is outstanding for all. We are grateful to Bee Sweet and COMACO for their valued partnerships and experience in this field. 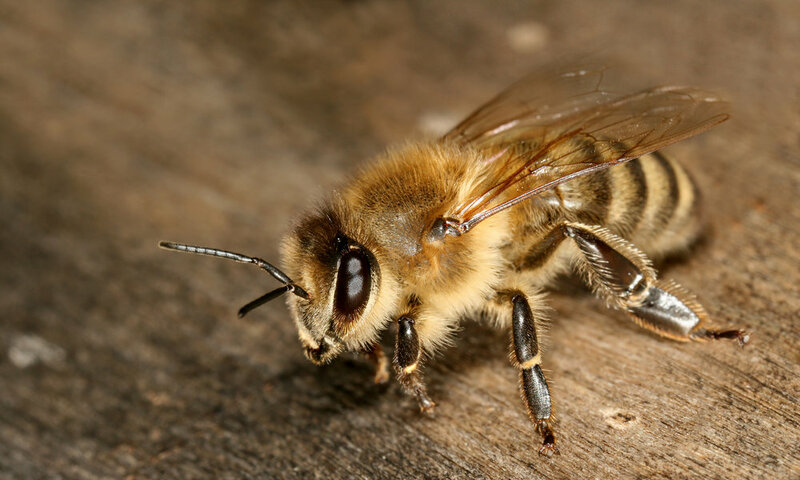 Nsefu Wildlife and the community are extremely excited by our beekeeping programs and furthermore, many conservation programs we have planned can be financially supported by the beekeeping revenue generated by honey production and honey byproduct sales. We are on the move in working with the community, so please support our programs! Nsefu Wildlife would like to thank Andre Gascoigne for his selfless volunteering and most excellent work in our beekeeping program. Andre built countless hives with Nsefu Team members and worked with community members in teaching hive construction and hive care. We are indebted to him and whether or not he knows it...he is part of the Nsefu Wildlife family for LIFE! Thank you Andre! The Chabwela School project is a success! From the outset, Nsefu Wildlife has been an adamant believer in the education of children as part of a longterm solution to end poaching and supporting conservation. The children are the future of any country and it's their generation that will feel firsthand the effects of wildlife decimation and ravaging of natural resources if things continue as they are. We believe if we teach children from the earliest ages that their wildlife and their environment are something to treasure and protect, we can help save the future for this generation. Not only are we trying to educate the children, but Nsefu Wildlife is working hard to educate the community as well. Youth education and community outreach are the means by which residents can be taught to support anti-poaching efforts. Nsefu Wildlife has completed the first brand new classroom for the Chabwela School which serves the children in the Nsefu Sector of Zambia. The building was built and dedicated to the memory of the late Robert Keller Lewis, father of Nsefu cofounder Coe Lewis. The school, built in partnership with Zikomo Safari, held a wonderful dedication ceremony in May of this year (2018). The ceremony included the children singing and reading poetry, members of the teaching staff speaking on behalf of the school, and members of the Community Resource Board speaking on behalf of Chief Nsefu. A wonderful time was had by all and the school was thrilled for the computer and tablets donated to the school by Warren Sanders of TVCUC and Kevin Panizza of Nizza Images. Chief Nsefu and the community are very excited and happy with the school and the work of the team at Nsefu Wildlife. Originally the school had been built for 60 children, but now 276 children attend! Our hope is to build another two (2) classrooms for all the children attending. The wonderful teaching staff, led by Head Teacher Brighton Mwanza, have done a wonderful job and half of the teachers at the school are volunteer! The community is fully invested in Chabwela and the children. We hope to get school uniforms, school books, teaching aids and more to support this amazing staff and the children. Nsefu Wildlife and Zikomo Safari fund the school with $100.00 a month for each of the three teachers, or $3,600/year. The cost for each child is $10 per term. There are three terms per year, so the annual cost is $1,800 ($10.00 X 3 terms X 60 students). The total annual school operating cost is then $7,200. With the number of children far exceeding the original amount, more classes are desperately needed. Each classroom costs $10,000 to build and more teachers are needed. The great news is that the Zambian government has approved our school and will be sending their own teacher to oversee the school programs and the salary will be funded by the government. Our school program is already an amazing success, so please support the children and teachers of Chabwela! Local women learn a new trade and help wildlife! We will purchase treadle sewing machines at first and train local women to sew women’s safari clothes. We will expand into children’s clothes and then men’s and sell the clothing to lodges, and online. When this project reaches maturity we will switch to solar panels supporting electric machines and have a large building with a retail store in the front. Treadle machines cost $250-$300 each (need 4 to start) material, scissors, thread, needles etc $1000. Paying the instructor to teach them how to sew and run the project is $500 per month. It should require at least 1 to 2 months to get the women trained and we can review this. Zambia is the most heavily deforested country in Africa. Trees produce oxygen, provide pollen for bees, safeguard the soil, prevent erosion, provide the shade that lowers summer temperatures and they house the bird population. They are amazingly beautiful to see. We work with local organizations to increase the number of indigenous trees. There are three lagoons in Nsefu Sector. We plan on dredging, seeding and netting these lagoons until our fish seedlings reach maturity. We will employ local people to do these tasks and monitor the lagoons against illegal fishing. When the seedlings do reach maturity we will provide fish to the village and sell the remaining catch to local lodges, and stores. Nsefu village is one of the poorer villages in eastern Zambia and economic empowerment projects benefit the community. NWCF is working with church and corporate groups who want to produce community outreach programs for Nsefu village’s school and clinic. We are contacting churches that are actively looking for projects for its members; NWCF can provide worthwhile projects in the Nsefu Sector.